The Czech government meets tomorrow (2 July) to discuss which commissioner will represent the country in the new EU executive. Four possible candidates are under consideration. EURACTIV Czech Republic reports. The first name frequently cited is Pavel Mertlík, a Czech economist. In 1999-2001 Mertlík was the minister of finance of the Czech Republic. From 2001 to 2012, he was the chief economist at Raiffeisenbank. Mertlík also teaches at the Faculty of Social Sciences at the Charles University in Prague. A member of the Czech Social Democratic Party, Mertlík was nominated by the party as a candidate for commissioner. He was previously nominated by the party for the post in 2004, but refused it. Mertlík told media that he is confident that he is well-suited for the post, but only if he gets an economic portfolio. This might be a little bit complicated, because the Czech Republic is not a part of the Eurozone. The second candidate for the post is Pavel Teli?ka, a Czech lobbyist, diplomat and politician. Teli?ka graduated from the Faculty of Law at the Charles University in Prague. He is a member of the political movement ANO 2011 (affiliated with the liberal ALDE political family) and in May 2014 was elected as MEP. In 2004, he was the leader of the group that conducted the negotiation for the Czech accession to the EU. Teli?ka has held the post of the commissioner, from May to November 2004, after the Czech Republic joined the EU. Miloš Zeman, the president of the Czech Republic, told media in June that he supports Teli?ka for the position, but has also said he dislikes his entrepreneurial past. The third possible candidate is Lud?k Niedermayer, a Czech economist. Niedermayer graduated from the Faculty of Science at the Masaryk University. Between 1996 and 2008, he was a member of the bank council of the Czech National Bank, and from 2000 to 2008 was also the vice-governor of the CNB. He stood for election to the European Parliament as an independent backed by the TOP 09 party (EPP-affiliated) and STAN (a party focusing on localism and promoting powers for municipalities) and was elected as an MEP in the current European Parliament. The last candidate is Zuzana Roithová, a Czech politician and manager. Roithová graduated from the Faculty of Medicine at the Charles University in Prague. From 2004 to 2014, she was an MEP, and according to the think tank European Values, Roithová occupies the virtual first place as most productive Czech MEP for that period. The Christian and Democratic Union – Czechoslovak People´s Party (EPP-affiliated) has nominated her for commissioner. Zeman told media in June that she could be a ‘compromise’ for the post if the members of government don’t agree on another name. Roithová has not confirmed her readiness to take the nomination yet. 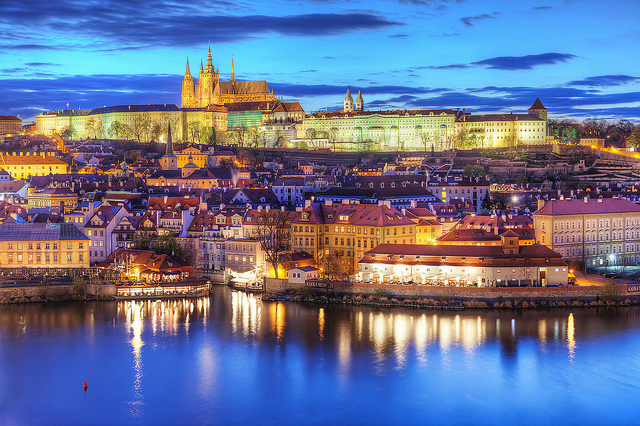 The government has also discussed the most sought-for portfolios for the Czech commissioner, the suggestions being internal market or transport.